A few more shots from the last two weeks or so. 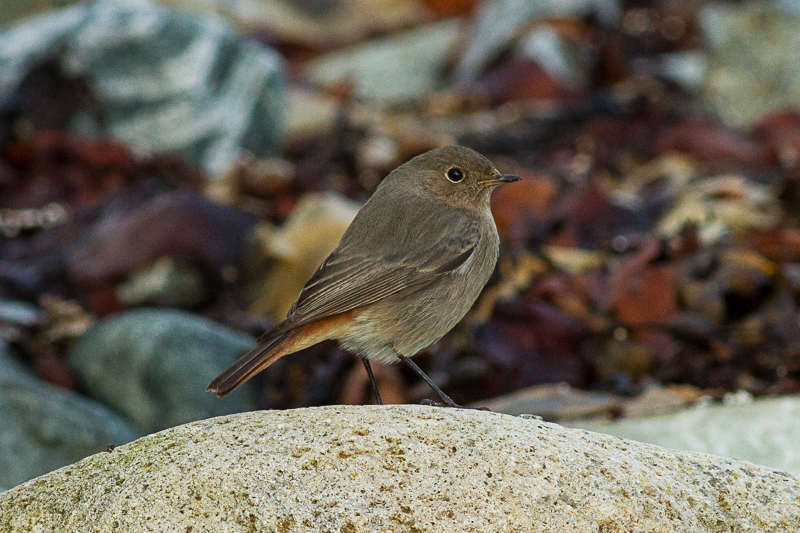 Black Redstart that I had on the shoreline at the end of the Murlach laneway near Ballyconneely on 14th January. 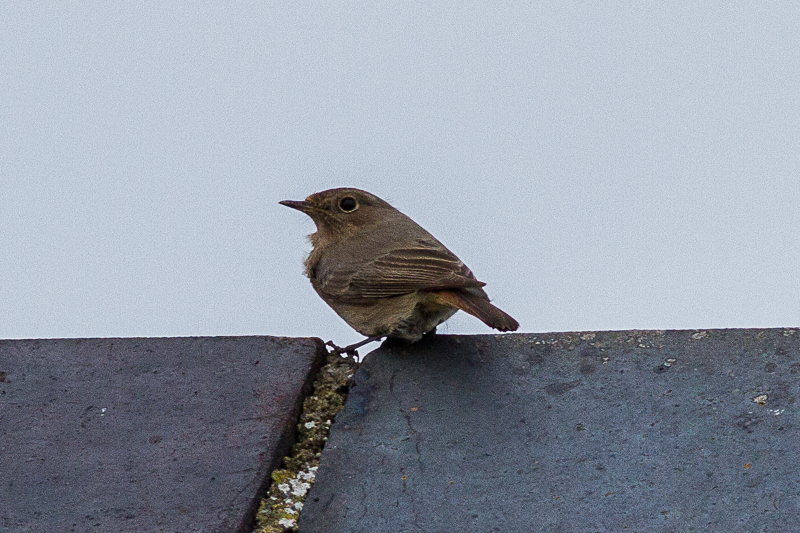 I had a Black Redstart here on 29th November so I'm presuming it's the same individual. 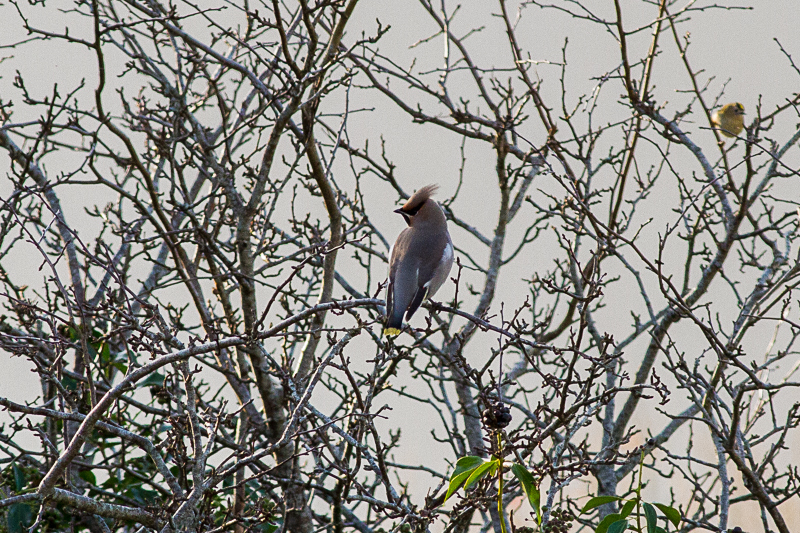 A few record shots of a lone first-winter Waxwing that was near Maam last week. 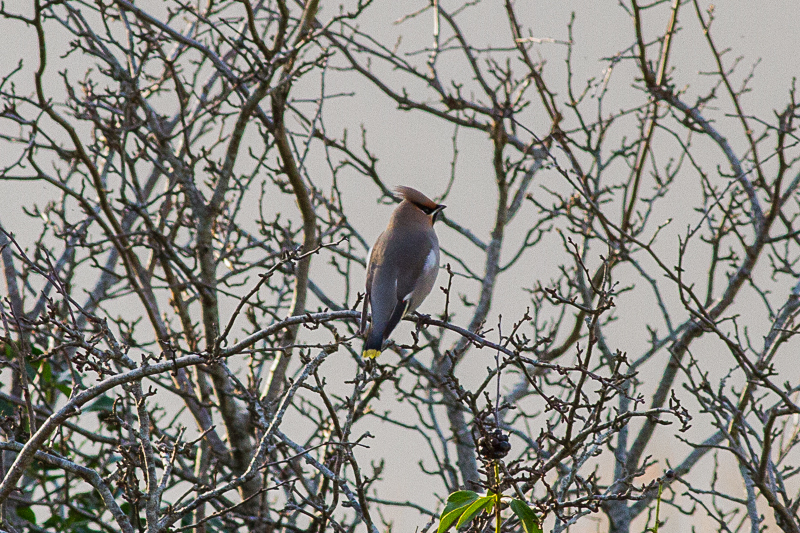 It was very vocal and mobile I assume as there were no berry holding bushes or trees in the area. I later had presumably the same bird flying by about a kilometre up the road. Two interesting recoveries during the week also. First was a Kestrel chick we ringed last summer at Errislanan which turned up in a moribund state and in very poor body condition at Pembrey, Carmarthenshire, UK on 11th November. It was handed in to Gower Bird Hospital but was too far gone and had to be put down unfortunately. It had moved a distance of at least 440km between the two sites. This is our first Connemara Kestrel recovery outside of Ireland (John Lusby has had a recovery of a Kerry bird turning up in France however). 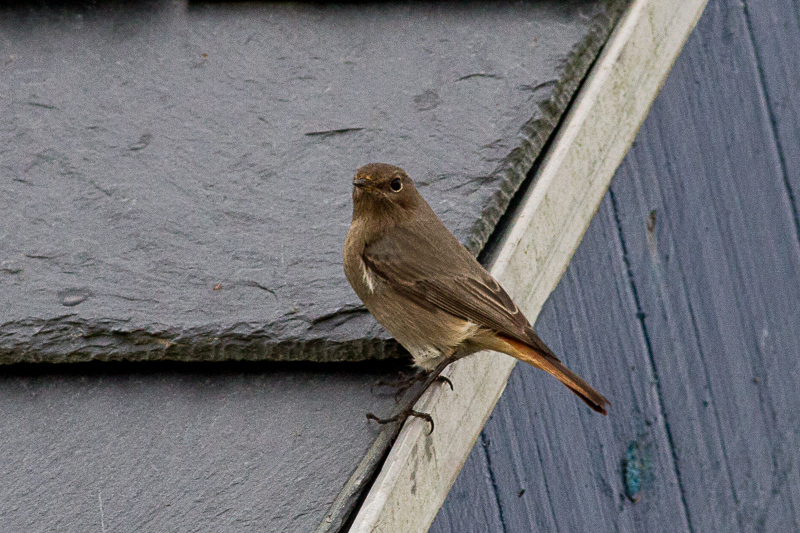 This bird had come from a brood of four chicks and was the third smallest. The youngest chick was actually too small to ring. This was one of two clutches that we ringed on the 22th June and both were very late nesters. Amazingly a chick from the other nest we ringed that same day was controlled on Cape Clear Island, Co. Cork on 25th October! 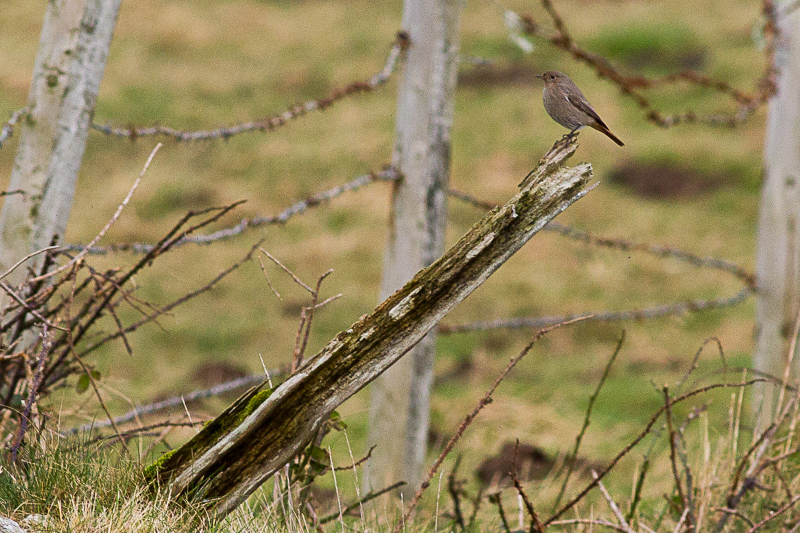 Irene O'Brien at the Errislanan Kestrel site, 22nd June 2016. Big and small Errislanan Kestrel chicks, 22nd June 2016. Another recovery of sorts was a Mediterranean Gull that I had in Kilkieran Harbour on 7th October 2016. It had been ringed on Lady's Island Lake, Co. Wexford as a chick. Amazingly this same bird was re-sighted afterwards on 16th December 2016 and 9th January 2017 at Funchal in Madeira! That's a distance of 2370 km between Connemara and Madeira. Coincidentally this bird was part of a county record gathering of twelve Mediterranean Gulls at Kilkieran at the same time. I've visited every now and then since but the birds disappeared shortly after this but only today I had a flock of 19 birds sheltering at the outflow from seaweed processing factory with a large number of mainly Black-headed Gulls. All of the Meds today apart from two second-winters were adults, no first-winters for some reason? 2X2N Mediterranean Gull, Kilkieran Harbour, 7th October 2016.